I’m pretty sure that there isn’t a God. 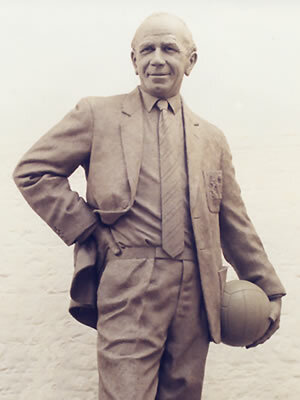 But if there were, I’m equally sure that he’d look like Sir Matt Busby. Now, I’m perfectly willing to concede that God could equally resemble, say, Hekia Parata, Boy George, Sitting Bull, Florence Nightingale or anyone at all really. But this is my lapse into whimsy – not yours. So deal with it. Where was I? Yes – Matt, Sir Matt, Busby – manager of Manchester United from 1945 to 1969 and part of 1971. Founder of the ‘Busby Babes’ and creator of the modern myth that is Manchester United. God, in fact. And the faithful gather to worship God at The Theatre of Dreams, Old Trafford, mostly on Saturdays or Sundays – although there are mid-week services throughout the devotional season. 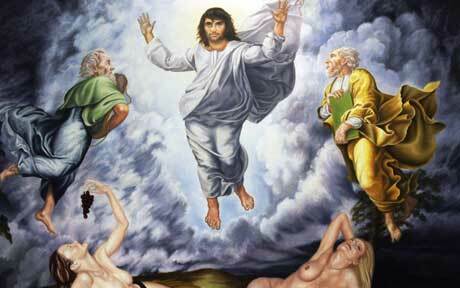 Now God had a son – and his name was George Best. George was sent to Earth to help the faithful find the Holy Grail, also known as the European Cup. And that sacred mission was achieved on 29th May 1968 when Portuguese non-believers were vanquished at Wembley Stadium – George applying the coup de grace. Since then, the Word has spread and conversions have been made by the thousand as the disciples of Sir Matt have bought light and a wondrous spirit into the world. The Devil – in the guise of Don Revie, Bill Shankly, Arsene Wenger and, currently, Roberto Mancini – has constantly sought to divert followers from the one true path. 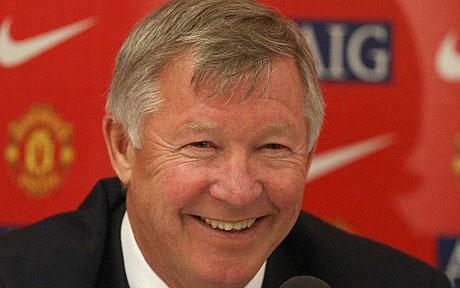 But Matt’s faithful gatekeeper, Sir Alex Ferguson, has always stood as the rock upon which the true faith is built. Sir Alex has served for many years, nurturing the disciples in the ways of Sir Matt so that they may minister to the diverse, global congregation that seek enlightenment and the one, true version of the beautiful game. Even betrayal by a Christian called Ronaldo – who accepted much more than 40 pieces of silver -could not shake his faith. 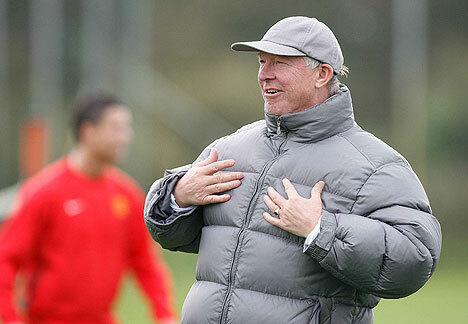 Imagine, then, my complete astonishment and sense of abandonment when I caught sight of Sir Alex WEARING A PUFFER JACKET !!! It was like discovering that God listened to U2 on the seventh day. Or that Buddha voted National. Or that Mohammed used frost tips. These garments are the Devil’s work. They are anathema. They are the antithesis of everything that’s decent in the world. Once worn, one’s soul is consigned to eternal hellfire and damnation. So distraught was I that, to find salvation for Sir Alex, I consulted ancient match-day programmes and other arcane and mysterious holy ephemera – searching for a remedy, an antidote. And Hallelujah! brothers and sisters I found it. So join with me now in this sacred hymn, as together we exorcise the malignant, sartorial demon that has possessed Sir Alex. Bless you. This entry was posted in Bio and tagged Alex Ferguson, George Best, Manchester United, Matt Busby, Puffer Jackets. Bookmark the permalink. Hi Doc. Glad you got a laugh. Kapai.